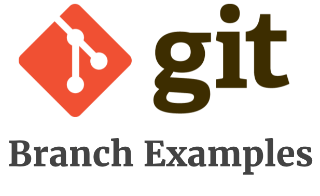 One of the most powerful feature of git is its ability to create and manage branches in the most efficient way. In this example, we have the following three commits on this project so far. As you see from the above output, we don’t have any branches so far. The first line shows that the default HEAD and master are on the latest commit. Now, let us see create a new branch using the git branch command as shown below. After creating the branch, as you see from the following output, the new “dev” branch is pointing to the same commit as where the HEAD is. i.e the 1st line in the following output. If you’ve created a git branch by mistake, you can delete it using -d option shown below. The following example will delete the dev git branch that we just created. Deleted branch dev (was 37351a0). In the output, it will also display the commit location where this branch was pointing to before it was deleted. After the branch is deleted, as you see from the following output, we don’t see it anymore. You can also delete multiple branches using one git branch -d command as shown below. Deleted branch stage (was df27a49). Deleted branch prod (was b58503b). Please note that -d option will also delete the reflog that are associated with the branch that is deleted. Note: You can also use -D option (upper-case D) to delete a branch without worrying about the the merged status of the branch. This means that it will delete the given branch even if it doesn’t have all the commit from the master branch. When you’ve checked-out a branch from a remote git repository, you can delete that remote tracking branches using -r option along with -d option. For example, the following will delete the the dev, stage and prod remote-tracking branches. Please keep in mind that you’ll typically do this when these branches doesn’t exist anymore in the remote repository. If these exists in the remote repository, they’ll be pulled again during the next fetch. By default when you create a new branch, you’ll still be only on whatever branch you were previously working on. So, after creating a new branch, if you want to switch to it, use the git checkout command as shown below. Now if you do git status, you can see what you are currently working on the new dev branch that was just created. Instead of creating a branch and then doing a checkout to switch to it using two commands, you can also combine them into single command. When you use -b option in the git checkout, then it will create the specified branch and switch to it immediately. As you see below, we just created a branch called ‘qa’ and checked it out immediately. The git status show that we are currently working on the newly created qa branch. The above git checkout -b qa command is equivalent to the following two commands. Now we have both qa and dev branch pointing to the latest commit as shown below. So far, we have two git branches created: dev and qa. Let us go-ahead and work on qa branch. Modify a file and commit it to qa branch. $ git commit -m "Changed the contact info"
When we did the commit, as shown in 1st line of the above output, it also shows which branch it is committing to along with the commit value. As we see from the git log, we have a new commit, and only qa branch is pointing there. dev branch is still in the previous commit. Our HEAD is pointing to qa branch, as that is where were are currently working. The following command will display all available local git branches. As we see from the above output, we currently have three branches. A star * in front of the branch name indicates that is our current working branch. When we use -v option along with git branch, it will display few additional information about the branch. In the above output, we also see the sha1 commit value, and the commit subject line of the corresponding git branches. Use the -r option to display all remote-tracking git branches. The following displays the remote tracking git branches only. When we use -a option, it will display both local and remote-tracking git branches as shown below. As you see from the above output, to differentiate between the local and remote, it will have “remotes” keyword in front of the remote git branch. Use the –merged option which will display all the branches that are already merged. Use the –no-merged option which will display all the branches that are not merged yet. Use the git branch -m option to rename a branch. As you see from the following, the git branch is renamed properly. Please keep in mind that if the “dev” branch has a reflog, it will also be renamed. But, a new reflog will be created to indicate that the branch is renamed. The following displays all of our current local branches. When I tried to rename a branch to a branch name that already exists, we’ll get the following error message. fatal: A branch named 'hotfix' already exists. The rename didn’t happen as we still see both “bug-1099” and “hotfix” branch. To forcefully rename a branch, use -M (upper-case M) option as shown below. Now, we don’t see bug-1099 anymore, as it is renamed to the existing hotfix branch. The following is the git log output of the same. When you view the branches using color option in the git branch command, it will be shown in appropriate color to distinguish between current branch, local branch and remote branches. They’ll all be in different colors as shown below. If you don’t want to display the color, you can turn it off using –color=never option. The possible values for –color parameters are: always, never, auto. The default is always. You can also specify –no-color option as shown below. Even if you have set the git configuration files to show the color always, this will turn it off. Both of the following commands are exactly the same. By default, when you use git branch -v option, it will display the first 7 character of the sha1 commit value for the branch as shown below. You can change this behavior and specify how many characters do you want to see for the sha1 value. The minimum you can go is 4. If you specify a value less than 2, it will still display 4 characters minimum as shown below. If you want to display the full SHA1 value, then use –no-abbrev as shown below. By default when you create a new branch, it will create the new branch at where the current HEAD is pointing. But, you can change this behavior and create branch at a different location. In this example, currently the HEAD, qa and hotfix branch is pointing to the latest commit. i.e fea5edd. The following example will create a new branch issue2000 pointing to a different commit than the latest commit. i.e Here we are specifying that this should create this new branch at the specified commit sha1 number df27a49. As you see below, the new branch is created at the specified location, instead of the default HEAD location. You can also use –contains option and display only specific branch. In the following example, we have several local branches. Here we are using the –contains option and searching for only the specified branch name (i.e qa). But, here this is also displaying hotfix branch, because hotfix’s tip commit is a descendant of qa branch. When you specify invalid branch name, or if you specify a partial branch name, you’ll get the following malformed object error message.